Long Day, Short Day, What’s the Diff? As it happens, onions care about day length. 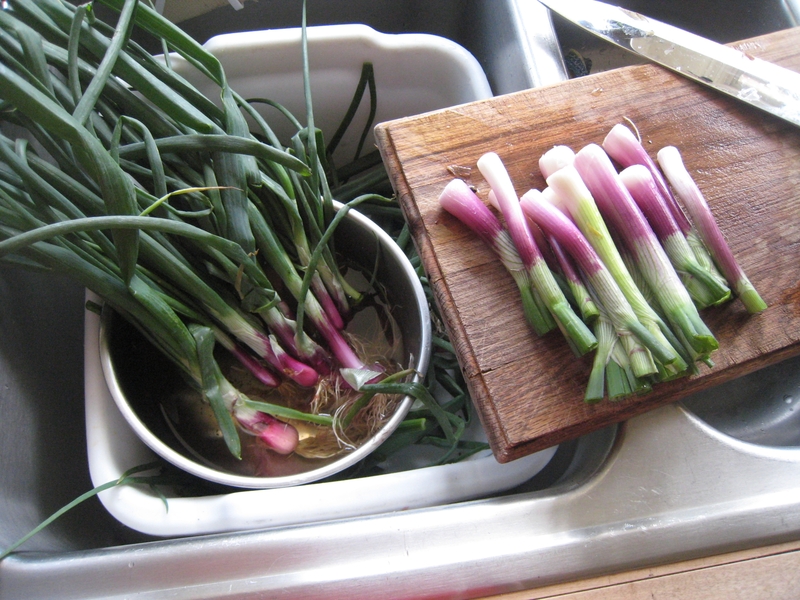 The Gardener planted a lovely variety of onion called the Cipollini (chip-o-LEE-ni). The seed packet promised flattened, medium sized bulbs great for roasting. Yum! Sadly, the cipollinis didn’t bulb the way one would hope. After patiently waiting for the onion to swell and create the coveted bulb, The Gardener engaged a fellow farmer in conversation about non-bulbing onions. It came to light that the Cipollini is a long day onion. Well, to The Gardener, that explained everything. The Harvest Manager needed a bit more illumination. Bulb-creation among onions is driven by sunlight. Some onions require more hours of sunlight than others in order to launch the bulbing process. Onions that require lots of sunlight are called long day onions. Onions that will bulb even with fewer hours of sunlight are called short day onions. In the southern latitudes we need to grow short day onions to get the desired bulb. Cipollinis will never bulb in Southern California because they are long day onions. No amount of patient waiting will change that. In keeping with the Harvest Manager’s motto, “Waste Not, Want Not”, the onions promptly came out of the ground and into the kitchen on their way to a medley of grilled vegetables. We enjoyed ours roasted with Baja stuffed salmon tacos and roasted acorn squash. Thanks for sharing. Did you season the onions before roasting? We used Italian dressing for a marinade.